This is the most important command I always use to run in my day to day configurations. It helped me a lot during my R&S lab exam as certain config commands would break something which you already did earlier in the exam task. Unless you verify each configs you applied have any impact on the existing config you do not know which task failed & why ?. If you type “show archive config differences nvram:startup-config system:running-config” command once you configured something (without saving it to nvram or startup-config) you can see the running configuration vs start up configration differences. + mark indicate the new config lines added to running configs & – mark indicate config lines removed from the running config compare to start-up config. In the below example I just enable “aaa-new model“ on my 3750 switch & just issue the above command to see what it realy did on my switch. As you can see it has added “aaa session-id common” into config & removed “login” command under vty 0 15 in addition to the “aaa new-model” line. 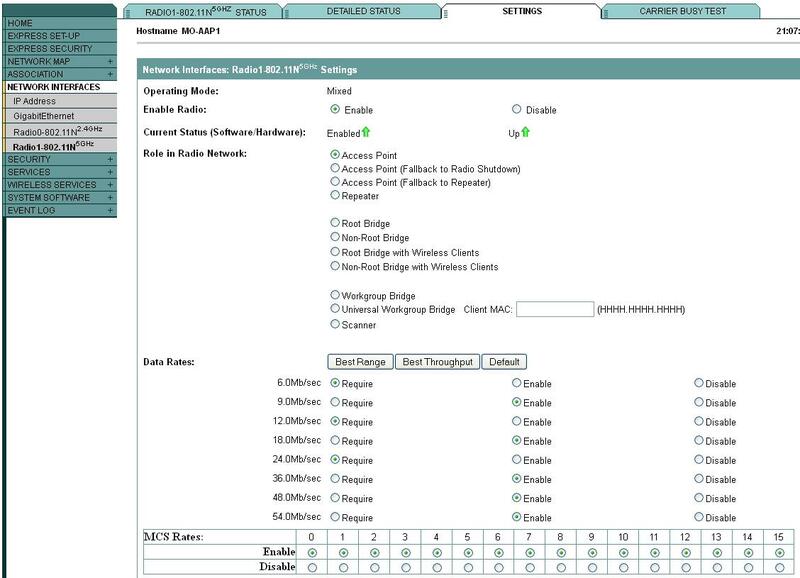 These are the thing you should be aware when configuring cisco IOS devices. So when I started my CCIE wireless studies I alwasy try to see how I can use this command to learn things. One thing I noticed is , controller based software is not cisco IOS & I cannot used that command as it is. But autonomos AP is Cisco IOS & you can run this command on that. But there was a hurdle for me to use it on Autonomous AP. That is I am not familier with Autonomous AP CLI commands available. Then I realized I can use this to learn CLI commands, Here how it is. Let’s see you want to know how to disable 6Mbps & 9Mbps data rate on 802.11a radio interface by using a CLI command. Since I am doing this first time on CLI this is how I learnt it. 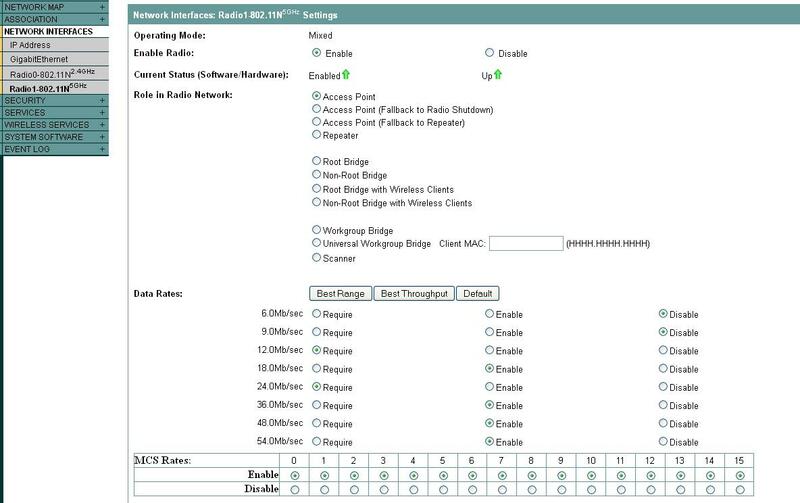 Step 2 : Go to the GUI of the AP & select the appropriate radio interface (I would assume you would know how to do this on GUI, but not in CLI). Default settings should looks like this. Step 3 : Disable 6Mbps & 9 Mbps, then click apply to save the config. Step5 : Open the ExamDiff application & select the two files you want to compare. Step6 : Here is the outcome. If you click “show only differences or Ctrl+D” you can see somthing like this. Let’s say if you knew how to do this in the first instance by using CLI, then issue our friendly command, you would see with + mark what is the effect on your configs. Ensure that no suprise config removal without your notice. +speed basic-12.0 18.0 basic-24.0 36.0 48.0 54.0 m0. m1. m2. m3. m4. m5. m6. m7. m8. m9. m10. m11. m12. m13. m14. m15. Hope this helps you to learn some CLI command in a different way. keep in mind for the real exam you do not get these tool & practice enough to remember CLI commands without looking even Cisco DoC page.